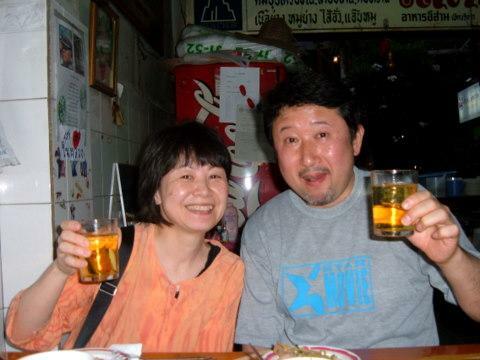 On 18 May 2010, when the confrontation between the government and protesters were reaching a boiling point in Bangkok, I decided to skip town and take up my old classmate’s invitation to “cool off” in Chiang Mai where he lives. When I left Bangkok that afternoon, the route on the highway overlooked some of the demonstration areas. There was an eerie lull in hostilities. I was famished when I reached Chiang Mai early next morning. So it was hot coffee, pork porridge and entrails at the bus station before going to meet Rex. The news on the radio in the taxi was grim. I could hardly hear the commentator. The frantic shouts and background noise said it all. All hell had broken loose in Bangkok! 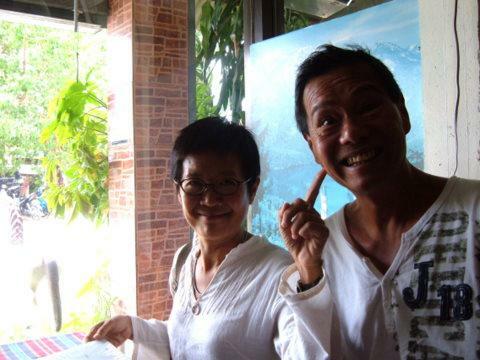 At Wat Suan Dork, I met with Rex my old friend and classmate since high school. It was back to his apartment for another round of coffee in the balcony as we discussed the current situation. The scenic beauty from the balcony was in the sharp contrast to the fiery chaos of Bangkok on TV. After lunch, I checked into a small hotel just within the walls of the old city together with a Japanese couple, Toshi and Mami, who were good friends of Rex. 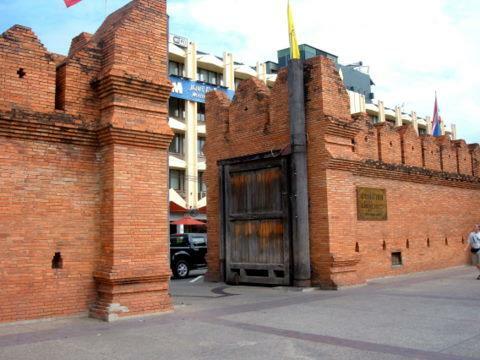 On that evening of 19 May, a dusk to dawn curfew was imposed in Bangkok and several provinces including Chiang Mai, something unheard of in Thailand for a long time. With the curfew on, Rex couldn’t join us. So Toshi, Mami and I settled for dinner in a little restaurant across the soi from our hotel. During dinner we could see the pall of black smoke from burning tyres outside the old city walls. Protesters broke into the grounds of the Governor’s house and burned one of the buildings. We decided to stay put with our beers. There was nothing else we could do. I really appreciated the calls and SMSs from concerned friends. I felt a little guilty as I told them I was seated outside the hotel, drinking beer with my new found friends. Later that night the scenes of Bangkok on TV were dreadful. Chiang Mai seemed like another world. The next morning I walked out to the old city walls and moat. The burnt tyres were cleared. The owner of the restaurant where we had dinner the night before was feeding the pigeons. There seemed to be a strange sense of calm as if nothing had happened. We drove out of the city for lunch. 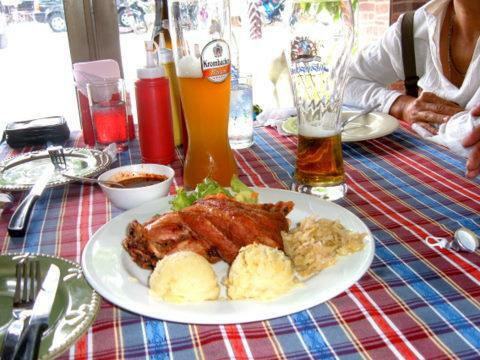 This was what I least expected; German sausages, beer and pork knuckles in the middle of San Kamphaeng, east of Chiang Mai city. It was so good I went back again three days later with my other friends. 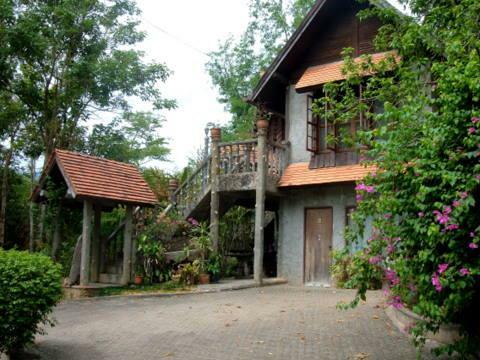 I also had the chance to meet with my another old friend Sai who took me for a drive to the countryside in Mae Rim north of Chiang Mai city to see some beautiful country homes. These privately owned homes are unoccupied most of the time during the weekdays and off season. 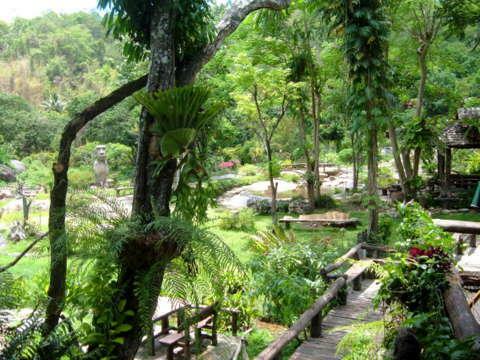 The homes, set in natural greenery, make wonderful retreats during the cold season at the end of the year. I got to know Susan & Robert Stem several years ago through my website. We kept in touch because of our common interests. 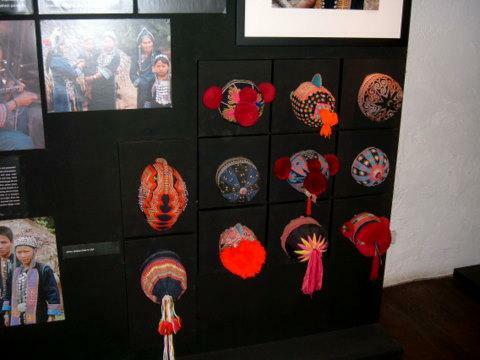 Susan’s specialty is tribal art and culture of the region. So it was no surprise that this was our first stop. 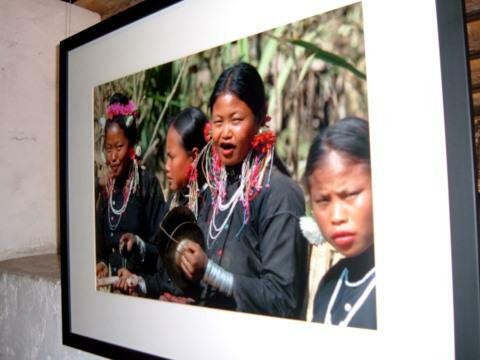 Tamarind Village is a boutique hotel in Ratchadamnoen Road where there’s an exhibition on hill tribes of northern Thailand by Victoria Vorreiter. Victoria’s passion is in the Tribal Music of Asia. 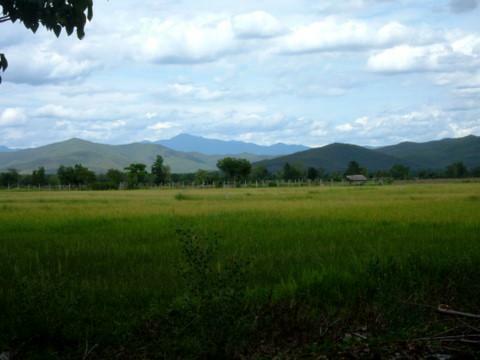 These indigenous hills tribes have lived in northern Thailand and the neighbouring areas for centuries. 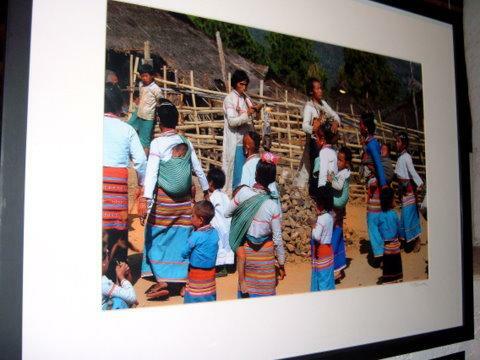 The Lahu were originally from Tibet and later migrated to southern China, Myanmar, Laos, Vietnam and Thailand. 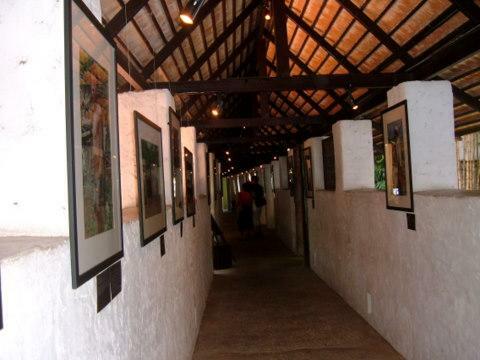 There’s also a museum with more exhibits on the second floor. The Hmong were originally from Mongolia, Siberia and Tibet. They migrated to southern China and SE Asia. The Mien came from Central Asia and moved southwards to this region. For more on the art and culture of the northern hill tribes, please see Tribal musical instruments. 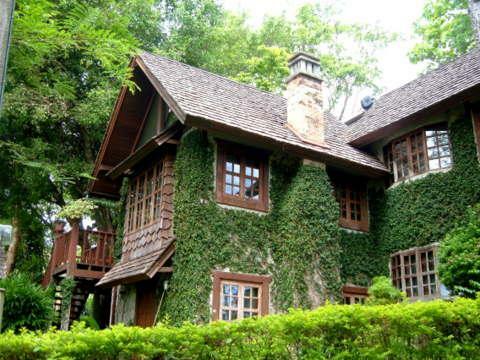 Our next stop was the family home of a Scotsman named Bane who settled in Chiang Mai a long time ago. 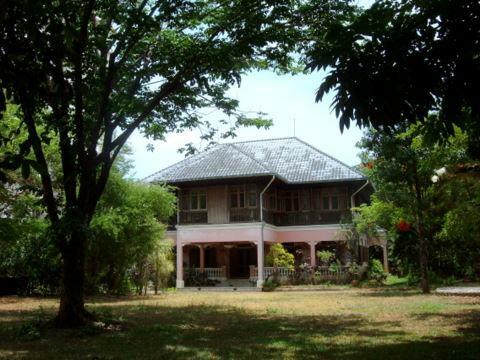 The house was later owned by Louis Leonowens, son of Anna Leonowens, the English teacher of King Rama IV’s children. Anna Leonowens’ memoirs were adapted to stage and two movies. 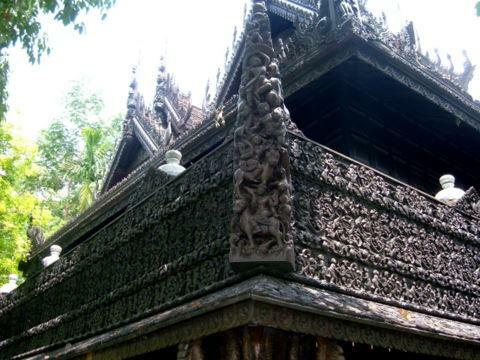 The offence caused by these works has resulted in their ban in Thailand till this day. There’s an Indian restaurant on the grounds of this old house. 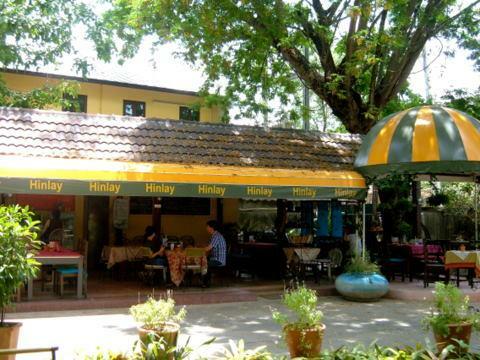 The Hinlay Restaurant serves delicious Indian khoma and briyani rice among other dishes. After lunch we continued down San Kamphaeng Road, the road through the district of the same name, which is lined with shops selling silk, silver ware, pottery, lacquer ware and antiques. Along the way, we passed the stunning Mandarin Oriental Dhara Dhevi Hotel spread over a sprawling 25 hectares or 60 acres with the recreation of an ancient city replicating traditional SE Asian architecture. 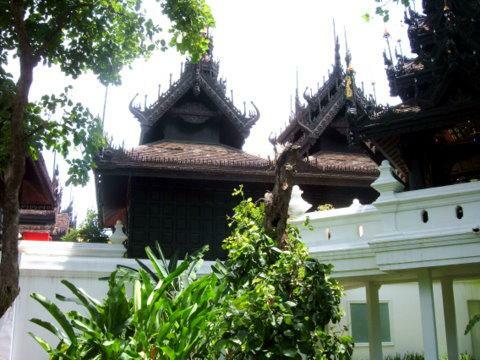 There are several pavilions on the grounds for private dinners. 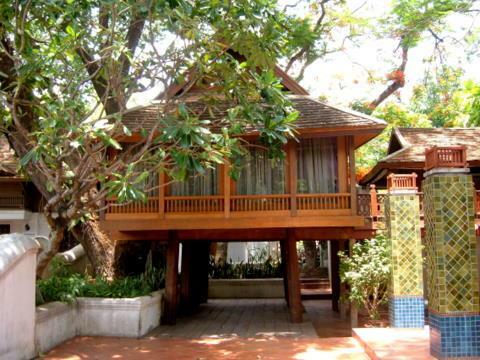 When Princess Diana visited Chiang Mai, she dined at this pavilion which is now named after her. The main entrance to the hotel seemed so imposing we gave it a pass. 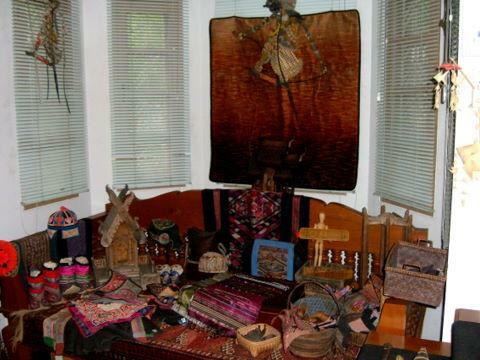 Susan runs a website called Tribal Trappings and some of the products are on display in the guest room which was also my comfortable lodgings during my stay in their home. On Saturday we took to the hills on drive to Mae On district south-east of the Chiang Mai city to a place called Huai Kaeo up in the mountains. 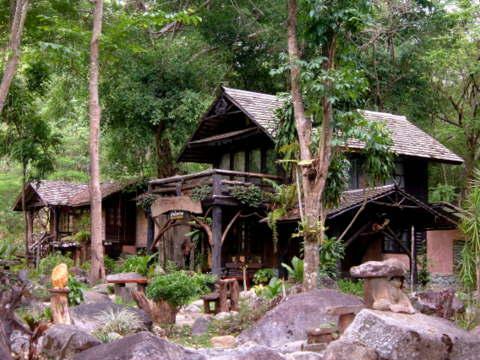 We found a home stay lodge up here that was a little paradise on its own, Tharnthong Lodge. 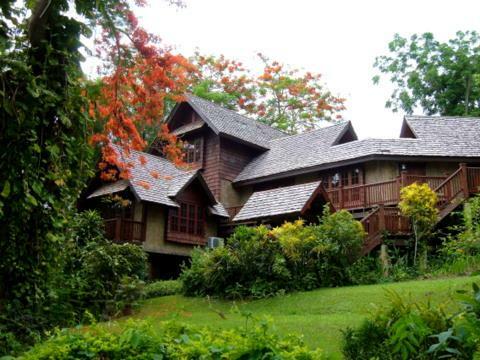 Home stay places like these are works of art by themselves. 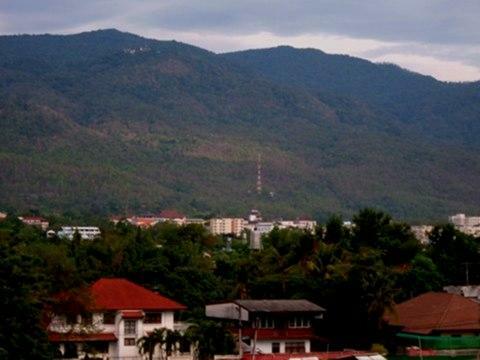 Here’s an enduring image of Chiang Mai, the city and her suburbs nestled in the fertile Ping River valley flanked by the green slopes of distant mountains. On my last night in Chiang Mai, the curfew had eased to 11 pm. We managed to visit the Sunday night market in Ratchadamnoen Road which has been closed off to traffic. After tasting the food at the food court and strolling past the stalls, we stopped at this pub for a drink. 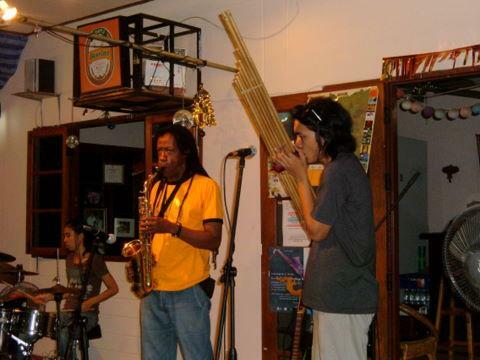 The band provided some light entertainment with an unusual mix of musical instruments; the bamboo “kaan” and saxophone. 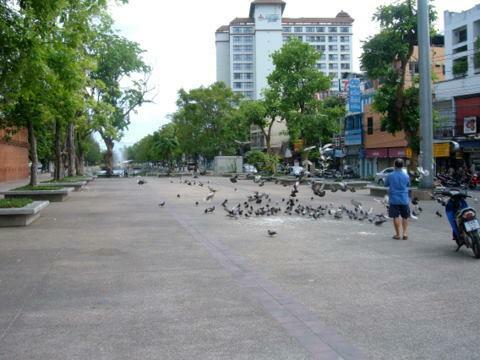 On the morning of 24 May, with the easing of the curfew, it was time to make my way back to Bangkok. It was an unusual “holiday” with a feeling of being “displaced” rather than being there by choice. Of course the friends and Chiang Mai made all the difference and I’m grateful to them. 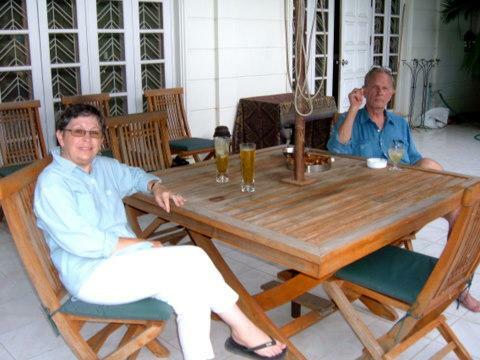 I wish to say a big thank you to all my dear friends in Chiang Mai; to my old classmate Rex and Arunthip, my new found friends, Toshi and Mami, Sai and her family, Susan and Robert Stem for the hospitality of their home. Thanks Susan for helping to identify the hills tribes in the photos. Thank you all for your friendship and company which has helped ease the stress during that fateful week in May. Like October, the month of May has returned to haunt Thailand again. I close off with a poem by Rex. when man seeks a new dawn? When our hopes and fears collide? When it comes to our city streets? Over a mere cycle of man? 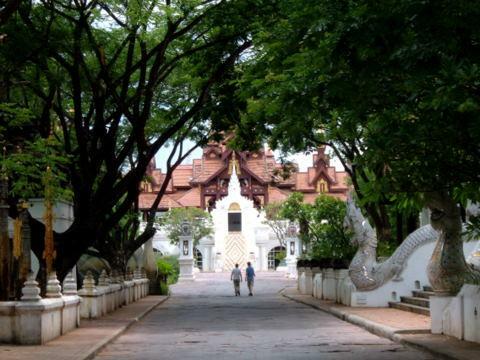 The Bangkok Travelbug goes home to Singapore to revisit one of his childhood haunts.